Two-way radios are designed to support instant communication in environments and situations where you need. Alberta’s public safety agencies retailors and industries – construction, manufacturing, oil and gas – depend on two-way radios for the unmatched combination of customization, privacy, security, durability, and ease of use they provide. 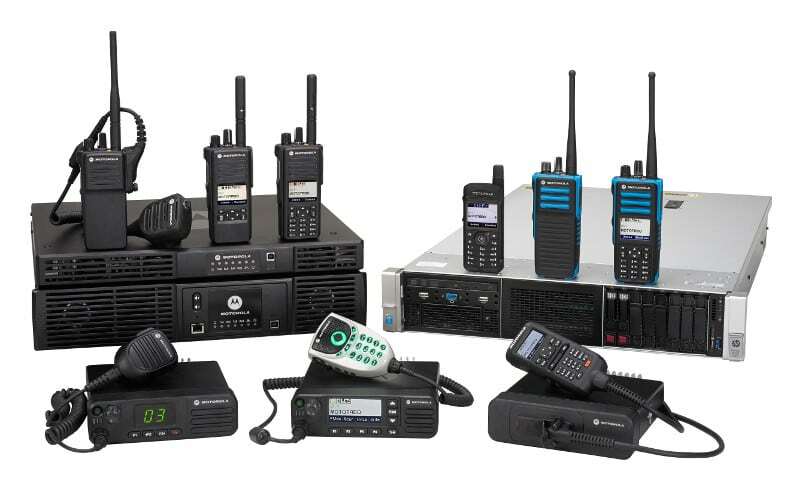 Tridon Communications is an authorized dealer for Motorola and Kenwood – industry leaders in mobile and portable two-way radios and accessories, as well as the support software an infrastructure you need to build a reliable communications system. Click Find a Radio to browse our selection of radios, accessories, and infrastructure products. Build Your System Online if you want to design your custom solution. Already know what you’re looking for? Request a Quote and we’ll get you the information you need. Need help making a decision? Call us at 1-833-487-4366. We’re here to help. Going digital doesn’t mean compromising durability. All our digital radios have been field tested to resist drops, dust, vibrations and harsh weather conditions. Ready to make the transition from your legacy analog radios to digital two-way radios? We can help! For more information on the digital radios we offer, click here to find a radio. Intrinsically safe radios, also called IS radios, are designed for use in hazardous conditions where flammable or combustible gas, liquid or dust is present. These radios provide an added degree of safety for the end user without compromising the durability or feature customization you expect in your communications solution. IS radios are used in any environment where there is a potential for explosion due to dust, gas or vapours in the air, including refineries, chemical plants, and fuel storage facilities. Tridon carries a full line of IS radios from Kenwood and Motorola, along with the support equipment to keep your team safe and productive. And, our facilities are CSA-certified, and our experienced technicians are manufacturer-trained to inspect, diagnose, service and repair IS radios and equipment before they go back into the field. For more information on intrinsically safe radios from Kenwood and Motorola, click here to Find a Radio. If you need information on renting, buying or servicing intrinsically safe radios, click Request a Quote or contact us online. Or, if you just have questions call us at 1-833-487-4366.